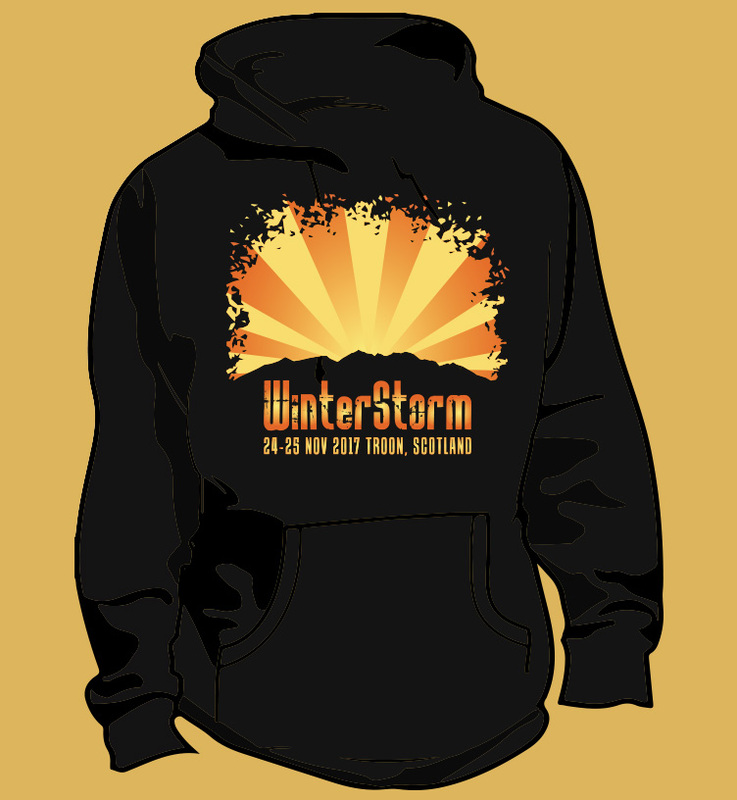 Merchandise sales for WinterStorm are really important to the event and we would be grateful of your continued support in purchasing some of it! We have launched the pre event sale which allows us to print early bird merchandise and get it posted out ahead of the event - we are now appraoching the last pre order date for WinterStorm merchandise and this is the only way of guaranteeing a shirt or hoodie. The closing date for pre orders has been extended to Sunday 5th November. Orders will then be sent out by post within ten days. All orders are EXCLUSIVELY available through our own store where you can select sizes, styles and quantities. Have a quick glance through the merchandise available for pre order and collection. Order Now or use the quick links at the foot of the page. The drinks tokens can also be pre ordered for collection on arrival at the venue. THis will save on some queuing on the day but be assured you can purcahse your vouchers in the hall using cash or card throughout the weekend.